Parents and students can view their progress, current reports and download a complete history. Download semester and progress reports. Check NAPLAN, AusVELS and other results. Your child’s attendance appears live as soon as the roll is marked! 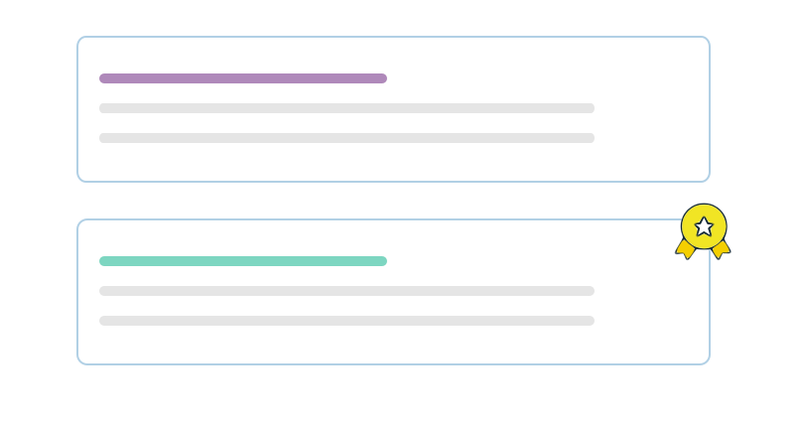 Attendance history and graphs provide you with insight into issues, truancy and learning difficulties. 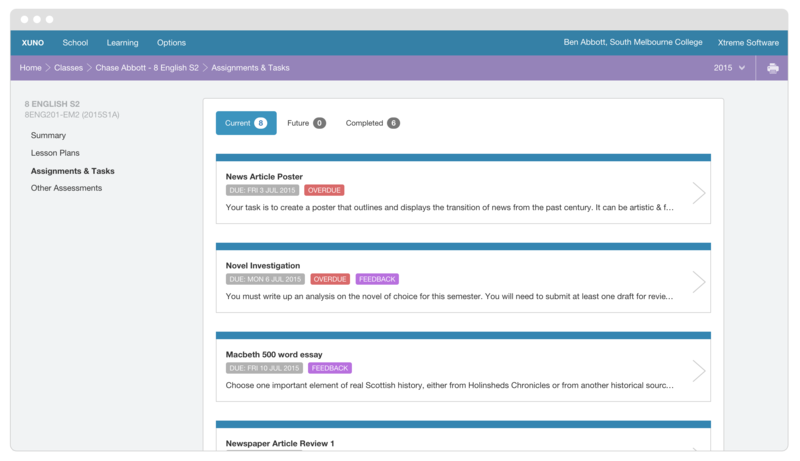 Parents can easily check what work their children have been assigned, when it’s due, feedback, and what the grade is. XUNO helps them do all of that with ease, plus much more. Timetables are displayed live and students are automatically alerted by SMS or email of any changes. Plus all changes are clearly highlighted to parents and students. Parents can book interviews online, anywhere, at anytime. It takes less than 5 minutes to setup! Staff and administrators can manage bookings, request interviews, block-out times, view reports and much more. Secure online conversations between parents, teachers and students. Optionally restrict who parents and students can start conversations with. 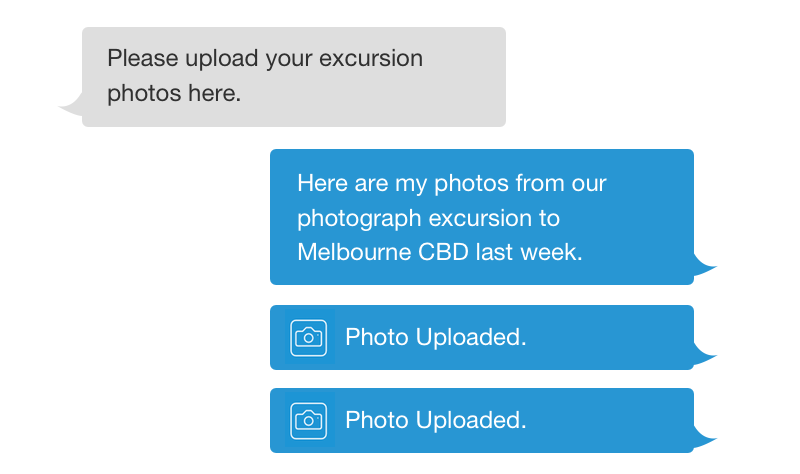 Have conversations with your class, attach photos, images and more. Distribute news and events to parents and students, send out newsletters and daily bulletins, share school or faculty calendars and more. You can restrict who sees what, or give everyone access. 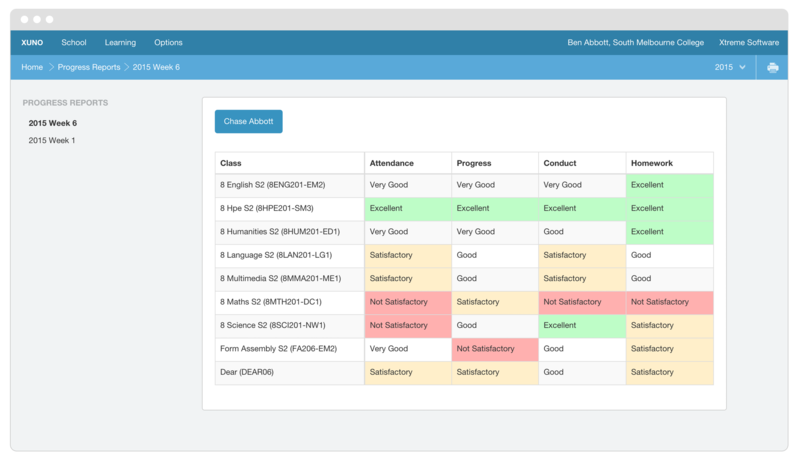 Allow parents to see specific incidents, achievements, awards, and even a complete history of their children to help drive positive behaviour. Parents can view and update all of their contact details. Comprehensive access permissions plus the built-in intuitive features account for split families and access restrictions.